SCPL is committed to providing resources and services to adults of all ages. Books, DVDs, books on CD, a robust large print collection, magazines and newspapers, ebooks, streaming audiobooks, online magazines, and specialized programs are only some of the many offerings available. Computers with internet access, notary services, passport services, and meeting rooms for community groups are available. SCPL offers resources and programming for young people (birth to 18 years) with the goal of promoting literacy while simultaneously developing a lifelong love of reading and learning . We offer teens books, DVDs, books on CD, magazines and newspapers, ebooks, streaming audiobooks, online magazines, and specialized programs designed to encourage critical thinking and independent learning. While exploring new ideas and building positive relationships with others, our teen programs offer less structured – yet more advanced – activities, and participants contribute significantly to the success of the program. With an emphasis on literacy skills and reading for pleasure, school-age programs provide hands-on exploration to make personal connections with reading and learning. Specialized programs designed to scaffold learning gained in the classroom include listening to and discussing stories, playing games, making crafts, and designing projects. Available age-appropriate materials include collections of I Can Read books, juvenile fiction (aka: “chapter books”), graphic novels, books on CD, kits of read-along materials, music CDs, DVDs, and online resources such as ebooks, audiobooks, and streaming media. SCPL team members lead programs designed to focus on early literacy skills children must develop to increase the likelihood of reading success. Activities are modified to meet the interactive needs of attendees and include reading, talking, playing, writing, singing, cooperative play, and social engagement. Educational toys, board games, puzzles, art projects, and busy learning boxes are available at the Imagination Station and around the Youth areas. Age-appropriate materials include collections of board books, easy picture books, I Can Read books, graphic novels, books on CD, kits of read-along materials, music CDs, DVDs, and online resources such as ebooks, audiobooks, and streaming media. Freegal offers downloadable and streaming music services — audio and video — accessible at freegalmusic.com and through mobile apps. SCPL patrons may download 5 songs per week and stream 5 hours of ad-free music EVERY day! IndieFlix is a streaming movie service that offers access to pop culture favorites, box office hits, award-winning feature films, documentaries, and shorts. RB Digital, the world’s largest newsstand, offers full color, interactive digital magazines for your enjoyment. Browse from your library’s collection of popular titles with no holds, no checkout periods, and no limit to the number of magazines you can download. ArtistWorks for Libraries provides patrons with world-class instruction through self-paced video lessons from Grammy Award-winning music and artistic professionals. ArtistWorks for Libraries offers everything needed for musical and artistic instruction, from introduction to advanced performance. Access exclusive Recorded Books audiobook titles, and other popular eBooks and audiobooks. Find global information including issues and events, people, government, sports and more with this collection of full-text West Virginia newspapers featuring the Charleston Gazette-Mail, Herald-Dispatch, State Journal, USA Today, international sources and more. Current and archived coverage of issues, events, people, government, sports and more. The definitive online resource for home improvement assistance in areas such as repair, maintenance, remodeling, electrical work and much more. Detailed information about popular hobbies and recreation activities including arts and crafts, collecting, games, scrapbooking, and more. and repair information for thousands of domestic and imported vehicles. Looking for something good to read or a recommendation? NoveList provides author read-alikes, book discussion guides, reviews, and more. Explore Novelist Plus or Novelist Plus K-8. WV Info Depot (wvinfodepot.org) is a one-stop site for various information resources, including newspapers, health and medical research, and history of the region. ***Some of the resources included can only be accessed from computers in the library due to subscription terms. Explore food culture and traditional recipes from around the world. It’s a movable feast in a digital cookbook. AtoZ World Food contains more than 7,000 traditional recipes from 174 countries, along with thousands of ingredient, food culture, and reference articles, making it the largest food database of its kind. Looking for a new job or to pursue a different career? Want help updating your resume? Learning Express Career Center has the tools and resources to get you started. Additional resources include preparation for Entrance Exams and information on military service. Learning Express Library College Prep Center presents online test preparation courses and practice tests for tests such as the ACT, SAT, GRE, and many others. College Admissions Essay Writing is also available. Learning Express Library Adult Learning Center includes resources to enhance math, reading, writing, speaking, and grammar skills. There is also information about how to become a United States citizen. e-WV: The West Virginia Encyclopedia, a full-featured electronic reference resource, is a product of the Encyclopedia Project at the West Virginia Humanities Council. Thousands of multimedia assets—including current and historic photographs, audio and video, as well as interactive features including an extensive mapping function and a 12,000-item timeline— are available. The West Virginia Archaeological Society donated a major collection of materials to SCPL. The collection is open to all, yet archaeologists interested in the history of the area will find this research-oriented collection most useful. 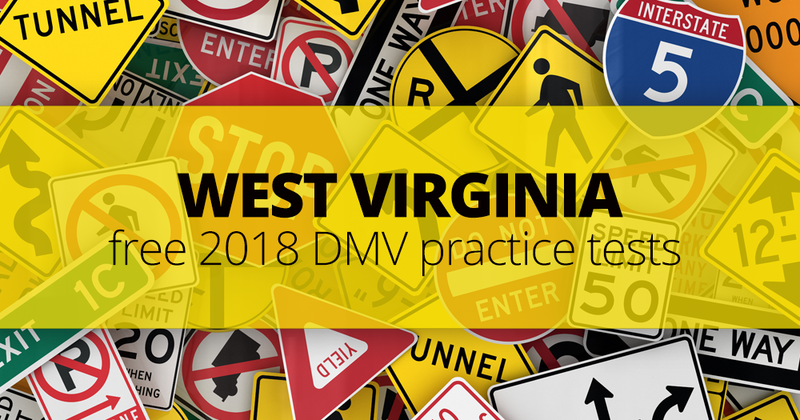 SCPL offers the premium version of driving-tests.org practice tests for West Virginia drivers seeking car, motorcycle, or CDL licensure. Includes driver’s license and permit FAQs as well as links to relevant Department of Motor Vehicles information. The American Library Association defines primary source materials as: …the evidence of history, original records or objects created by participants or observers at the time historical events occurred or even well after events, as in memoirs and oral histories. Primary sources may include but are not limited to: letters, manuscripts, diaries, journals, newspapers, maps, speeches, interviews, documents produced by government agencies, photographs, audio or video recordings, born-digital items (e.g. emails), research data, and objects or artifacts (such as works of art or ancient roads, buildings, tools, and weapons). These sources serve as the raw materials historians use to interpret and analyze the past. Digital Public Library of America (DPLA) connects people to the riches held within America’s libraries, archives, museums, and other cultural heritage institutions. All of the materials found through DPLA—photographs, books, maps, news footage, oral histories, personal letters, museum objects, artwork, government documents, and so much more—are free and immediately available in digital format. The cultural institutions participating in DPLA represent the richness and diversity of America itself, from the smallest local history museum to our nation’s largest cultural institutions.